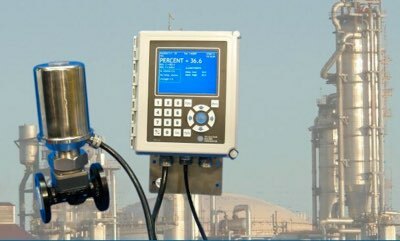 The MPR E-Scan has numerous applications within the chemical industry. In general, the MPR E-Scan can measure the strength of a chemical when diluted with water (or another chemical). If there is a concern with optical coating, a hand-operated brush cleaner is normally the preferred method. Various material alloys are available for wetted parts and Teflon® coating is available for non-wetted parts. Electron Machine's extensive experience with in-line process refractometers has resulted in numerous other successful applications in the chemical industry.